Many long-time Winona, MN residents grew up enjoying the beach on Mosquito Island, a small, non-descript piece of land in the Mississippi River located a short boat ride downstream of town. Over time, wind and waves took their toll and eroded the island away to a fraction of its former glory. But, during the fall of 2017, the island got a much needed facelift! Following a few years of planning, public comment, and permits, the U.S. Army Corps of Engineers (USACE), U. S. Fish and Wildlife Service, Minnesota Department of Natural Resources, and Wisconsin Department of Natural Resources were able to complete a restoration to the original Mosquito Island. 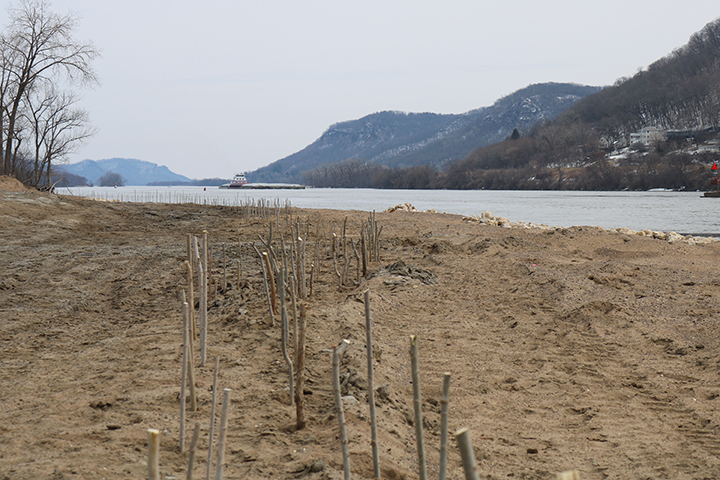 The USACE Maintenance and Repair crew based in Fountain City, WI dredged over 50,000 cubic yards of sand and 2,700 cubic yards of organic material from Pool 6 to add a two acre extension on the upstream side of the island. Over 3,000 ton of rock was used to create vanes and armor the head of the island to help protect against future erosion. 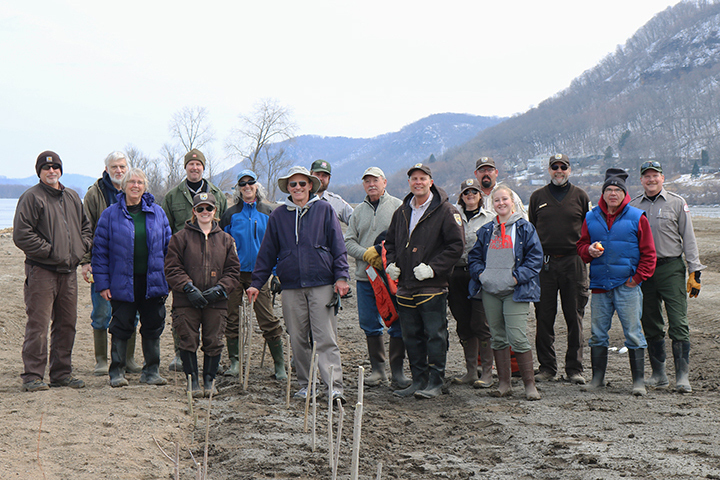 On April 11, 2018, volunteers joined agency personnel in planting over 1,500 willow sticks along the shoreline to fight the effects of rising water. 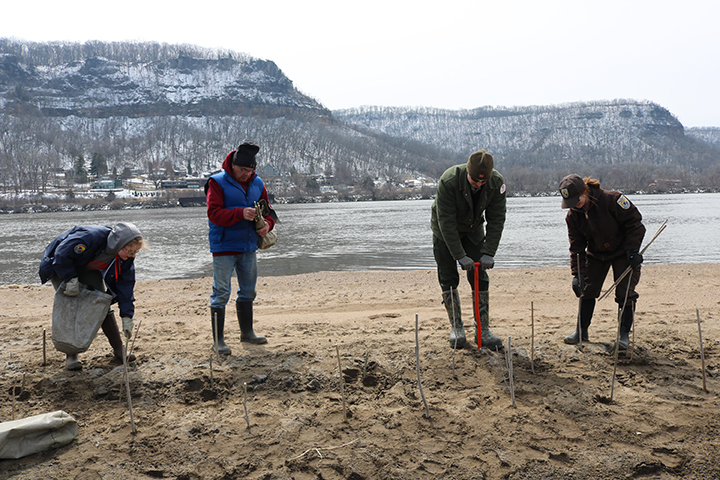 The island is now ready for its crowning glory – 300 trees. You are invited to add your chapter to Mosquito Island’s restoration story by planting a tree with us on Saturday, May 5, 2018. We will meet at the East End Boat Landing at 9:00 a.m. RSVP’s are requested and more information is available by calling or emailing Gayle Maule at the Upper Mississippi River National Wildlife and Fish Refuge, 507-494-6220 or gayle_maule@fws.gov.